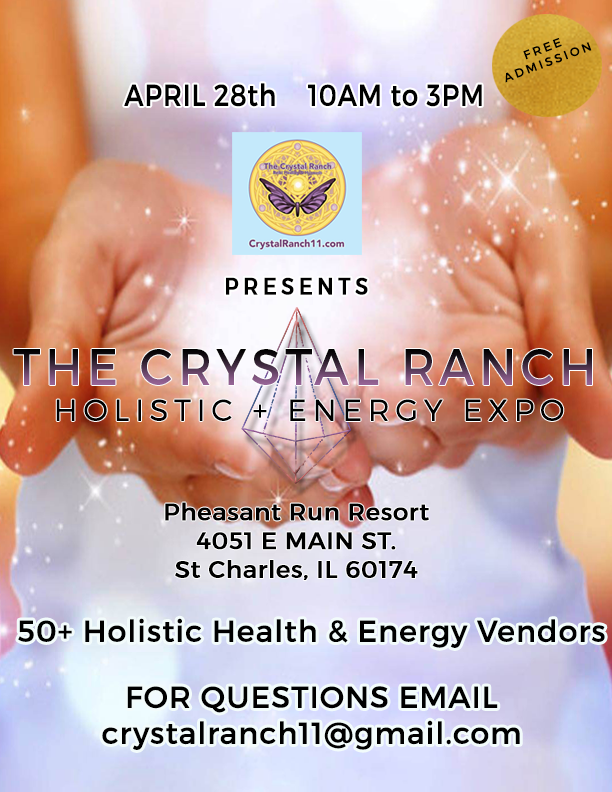 Visit Me at The Crystal Energy Ranch Expo! This is exciting! I will be doing Akashic Record readings at this event. There will be a huge variety of vendors specializing in Crystals, Reiki, Hypnosis, Handmade Jewelry, Tarot readings, Reflexology, Essential Oils, Chiropractic, Naturopathy, Green Products, Medium Work, Chakra Balancing, Spirit Sketches, all natural products, Energy Art, Holistic Medicine, Chair Massage, Yoga, Aura Reading and so much more! I will be in the balcony and available for readings! Come visit me.